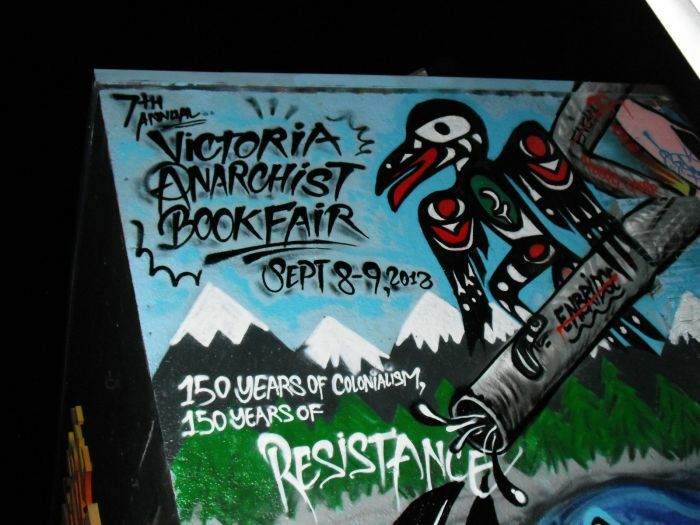 7th annual Victoria Anarchist Bookfair. Artwork by Gord Hill. This is an audio recording of a workshop on the history of colonization and Indigenous resistance in the province of "BC" that took place at the 7th annual Victoria Anarchist Bookfair in September 2012. 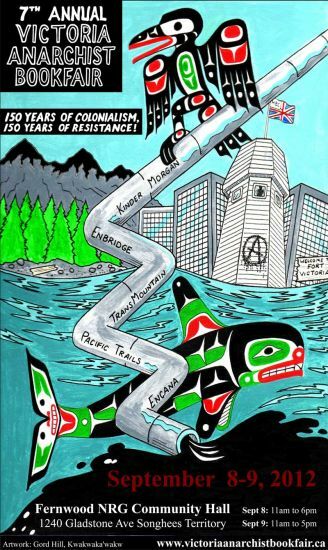 Gord Hill is a member of the Kwakwaka'wakw nation on the Northwest Coast. A writer, artist, and militant, he has been involved in Indigenous resistance, anti-colonial and anti-capitalist movements for many years.